Almost two-thirds of our bodies are made up of water. You can last longer going without food than you can without drinking water. The amount of water we need to consume daily is almost two liters! While not all of that comes directly from drinking, you still need a considerable amount of clean water each day to remain healthy. For as long as you can remember, you were drinking straight from the hose on hot summer days and filling your glass directly from the tap. Consumers today are better educated about the healthful properties of water and the possible impurities in tap water. Sometimes, though, the vast number of water filters available to us can seem a bit overwhelming, especially when they all work a bit differently. It begins in the grocery store aisle. Purified versus spring water. Alkaline versus electrolytes. We begin to question which is better for us and why. If you have a good home water filtration system, you not only don't have to worry about which type of bottled water to buy, but you also can save a lot of money. An at-home water filtration system is convenient and purifies the water better than many brands of bottled water do. HOW DOES A WATER FILTER WORK? A water filter works by using one of two different techniques: physical filtration and chemical filtration. The water flows from your tap or water source and through the filter. Physical filtration strains the water to remove larger impurities. Think of it like a flour sifter that keeps lumps or any large pieces of contaminants in the sifter and lets only the flour go through. Chemical filtration passes water through material that chemically removes contaminants. Many filters contain both types of filtration processes so that the chemical filter can remove impurities too small for the physical filtration to catch. DO YOU REALLY NEED A WATER FILTER? 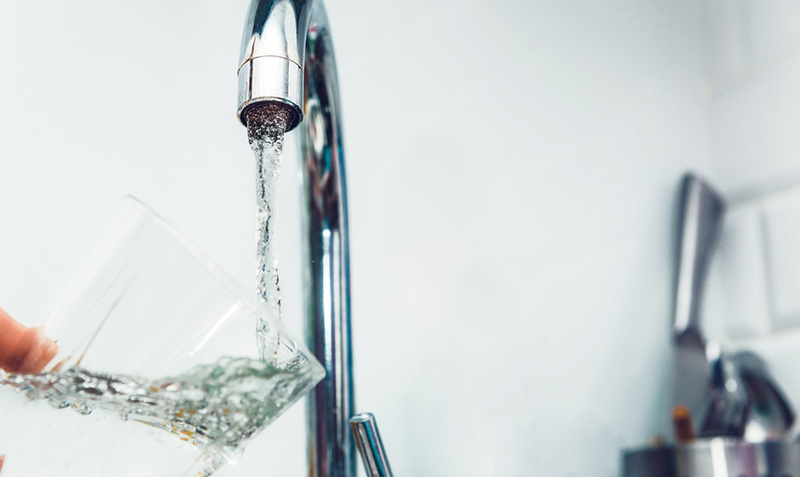 While the Environmental Protection Agency (EPA) monitors tap water, and they will say that it is safe to drink, many people feel the need to filter their water for any potential risks that could be found. 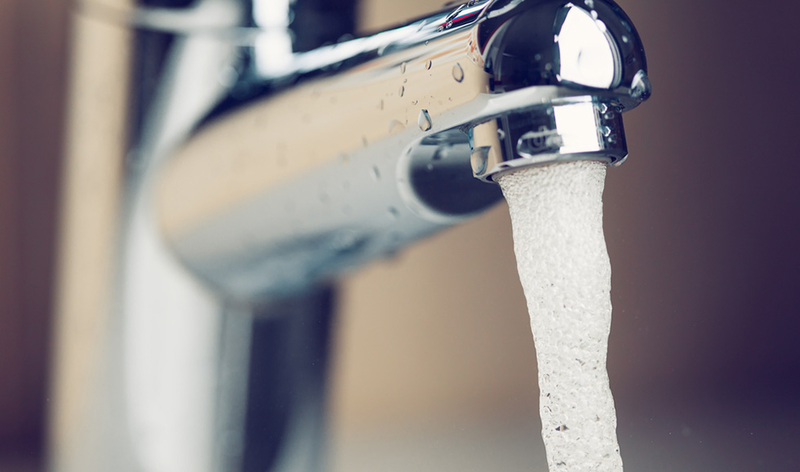 Some tap water has been found to contain bacteria, dirt, and other harmful minerals. Things such as toxic algae, pharmaceuticals, and even E. Coli can exist in the water you get from the tap. Sure, they may be in small amounts, but, over time, they can lead to issues such as gastrointestinal problems and reproductive issues. A lot of people don't like the taste of tap water, and why risk it? A water filter is a pretty inexpensive investment when it comes to preventing some potentially severe health issues in the future. So, what can you do? Many companies offer to test your water for a very minimal financial investment (upward of $10-$20). Some even provide testing strips you place in your tap water and send to their labs to find what contaminants are hiding in there. Some people opt for a filter because they have a strong taste preference for their drinking water. Overall, this saves money over purchasing water separate from the tap. Every bottling company will offer you a wide range of drinking water, from distilled to spring water. It’s understandable that bottled water is easily accessible and that you have many options available to you at your local grocery store. While we can’t speak to the water company of each company individually (you may want to do your research, though!) we do know the adverse impact of purchasing water bottles, over time, on your wallet and the environment. The cost of purchasing a bottle of water will run you upward of $1.50-$2.00, at the very least. If you were to add up this cost over time, you could ultimately spend over $400 a year buying a bottle of water every day. At that cost, you could have purchased an insulated refillable water bottle and paid for it within ten uses! The second thing to consider is the environmental impact water bottles have on the Earth. Contrary to popular belief, water bottles are not always recyclable—that is, if they even end up in a recycling bin. According to statistics, Americans used about 50 billion plastic water bottles last year. However, the U.S.’s recycling rate for plastic is only 23%, which means 38 billion water bottles—more than $1 billion worth of plastic—are wasted each year. Where do you begin your search for a water filter? 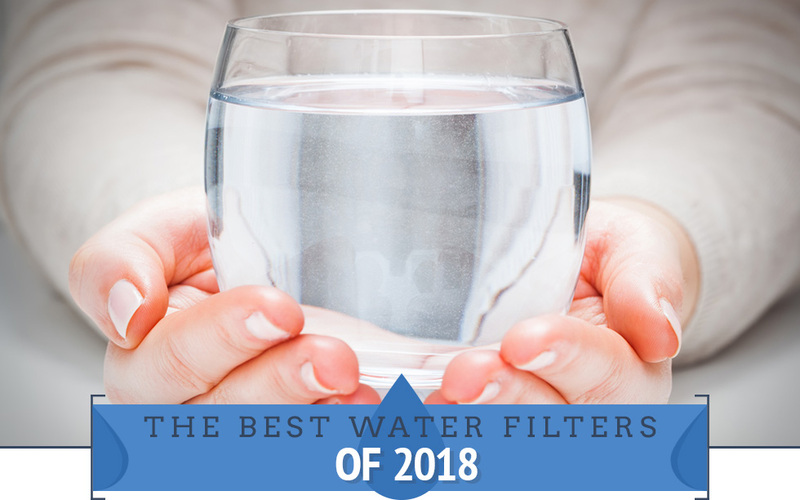 We've compiled a list of the best water filters of 2018. More specifically, we've arranged them by type of water filter to help you decide which one may suit your needs best. Activated carbon filters use charcoal, which is very porous and can extract chemical impurities through adsorption. 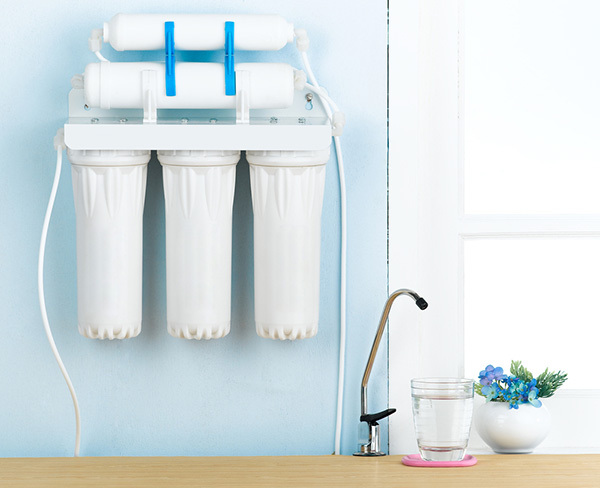 These filters work for filtering out chlorine, pesticides, and industrial solvents. They are for drinking water streaming straight from the tap and have cornered the market of kitchen appliances through pitchers and sink attachments. The number one active carbon water filter pitcher is the Culligan Drinking Water Pitcher. It cleans the water while using the activated charcoal to remove many surface pollutants from the tap water, such as chlorine, copper, mercury, and any odors. It comes in various sizes to suit your needs. One filter can purify the equivalent of the water contained in 300 plastic water bottles! Reverse osmosis filtration involves pressuring water through a very thin membrane filter to extract any unwanted impurities. Most reverse-osmosis filters use electrically powered pumps to purify the water at the correct pressure to optimize the efficiency of the filter. This type of filtration is good at removing pollutants like salt, nitrates, and limescale. One of the top choices for a reverse osmosis system is the Everpure EV9273-75 - ROM II Reverse Osmosis System. Used in conjunction with the top-rated Everpure H-300 Replacement Filter Cartridge, it reduces lead, nitrates, arsenic, and fluoride, with its initial carbon block filter. It uses an ultra-thin reverse osmosis filter to remove any additional contaminants, such as arsenic, lead, copper, and sodium. This system is best known for its ability to reduce buildup that aids in clogging pipes and appliances. Compact and situated directly under your sink, it is very easy for a homeowner to replace. Ion exchange filters soften water by splitting apart atoms, turning them into ions, and exchanging the resultant ions for ones that you can safely ingest. Ion filtration systems look for the dangerous pollutants hiding in the water and, once they find them, they change the contaminant from harmful to good for your water, thus making the water more potable by removing pollutants. Many homes opt for an ion filter if they only have access to hard water. Ion filters are a great way to decrease the amount of calcium and mineral buildup. 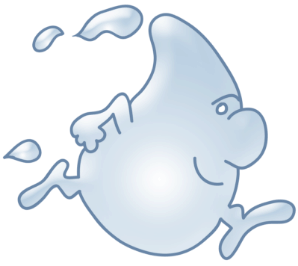 While hard water is not unsafe to drink, it can often carry an unwanted rotten-egg-like odor. One of our top choices for ionization water filter systems is the Pentek 160168 1 inch BBFS-222 Filter System used with the top-rated Pentek 5 Micron Polypropylene String Wound Sediment Filter. This water filter is an excellent choice for a whole-house filter system. Installation is simple and, with three-stage filters, you can rest easy that virtually all contaminants will be removed. While you have the option to decide which filters you can place in this system, many people opt for the ionization and sediment reducing filters, in addition to the final stage carbon filter. This three-step process ensures you are purifying the water to include removing calcium and any other harmful mineral buildup, while still having the added cleansing that a typical water pitcher filter offers using the carbon filter. Contaminant Removal for Your Bath! If you have done any tests on your home’s water quality, you may already know what type of contaminants you mainly want to remove. Knowing the kind of pollutants you want to remove helps you better determine the type of filter to install. If you haven’t done a home water test to determine the purity level and types of contaminants in your city or well water, your local water company can help you. Many companies have websites that list the pollutants found in the local water supplies. For your bathtub, one chemical you want to remove is chlorine, in addition to VOCs, heavy metals, and hydrogen sulfide (that "rotten egg" odor). At the same time, you want a filter that will balance the pH of your bathwater. A good choice for a bath filter that can effectively do this is the Crystal Quest Bath Ball Filter. It is one of the most advanced bath filters on the market, with easy installation, and it efficiently helps reduce the dryness of your hair and skin. While pitchers are an excellent option for limited space, understanding the amount of water your household or business consumes, on average, and how much you use for cooking and cleaning, will help you in choosing the correct filter. For example, if you have seven people in your house and live in a warm climate, a 10-cup pitcher filter just won't do. A refrigerator filter will suit your needs better—one that doesn't take up space on the counter or which is a bulky protrusion on your faucet. Many refrigerators come with a water line directly built in for easy access to drinking water. A good choice for an inline water filter is the Hydronix ICF-10 Inline Coconut Filter 2 x 10. It uses a coconut shell but, don't worry—it won't make your water taste that way. It reduces water channeling, with its spring design, and removes any unpleasant taste or odor you may currently be experiencing. The best candle water filter on the market is the Doulton W9331032 HCPS UltraCarb Filter System. It allows you to quickly install any existing faucet and choose from some filters that address a wide range of pollutants. A great choice for this system is the Doulton W9223021 cleanable filter. It is designed to remove any suspended solids and pathogenic bacteria, sulfide, and lead. Also, these filters will improve the taste and reduce trace contaminants. Understanding that all water filters are not equal and each uniquely removes impurities is a smart place to begin. While we think it’s best to have an entire home water filtration system, not everyone’s budget can accommodate that. Knowing up front what you want to get out of your filter will help determine which filter is best for you. Mounted filters and water pitchers are the least expensive option when considering a water filter for your home. The cost is typically under $40, but, also remember, you will be replacing the filter every 2-3 months, depending on the amount of water you are filtering. Under-the-sink water filters can run as low as $30, but, once again, you will want to consider what it will be filtering and how often the filter will need replacing. Many systems can hold up to five or six filters, which is nice when purifying the water, but you will want to consider the overall cost of replacement and even installation. Many filters can be installed directly under your kitchen sink. No room under there? There are also countertop filters that can be set directly next to the sink for easy installation. Even more limited? Mount systems that attach straight onto the faucet are an excellent option for limited space. These easily connect to the valve and filter the water as it comes out. We've given you our list of the top-rated water filters and the best systems based on the materials they are comprised of and the pollutants they address. Many of these can be found online and in stores. Always be sure to purchase the correct filter for your system. Many times, you may want to consider purchasing a newer system to ensure the highest-quality water filtration.